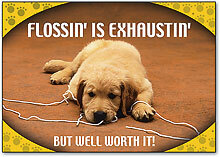 Our periodic newsletter provides informative and intersting oral health facts and information. "Bad gums could be as strong a risk factor for heart attacks as smoking cigarettes, which is to blame for about 40,000 heart-related deaths a year." "Men with periodontal disease have a stronger propensity for cardio-vascular disease than men without periodontal disease, with those under 50 with periodontal disease having a greater risk than those over 50." "Under the surface...are pockets of infection that contain billions of bacteria. If this oozing mess was out where it could be seen, it would be a bone-deep sore the size of the palms of both hands." A fluoride rinse, like ACT® Fluoride Anti-Cavity Dental Rinse, provides extra protection against cavities. ACT® reduces cavities up to 40% more than brushing alone. ACT® comes with a convenient dosage meter. ACT® may even reverse cavities in progress. 5000 BC—A Sumerian text of this date describes “tooth worms” as the cause of dental decay. 2600 BC—Death of Hesy-Re, an Egyptian scribe, often called the first “dentist.” An inscription on his tomb includes the title “the greatest of those who deal with teeth, and of physicians.” This is the earliest known reference to a person identified as a dental practitioner. 1700-1550 BC—An Egyptian text, the Ebers Papyrus, refers to diseases of the teeth and various toothache remedies. 500-300 BC—Hippocrates and Aristotle write about dentistry, including the eruption pattern of teeth, treating decayed teeth and gum disease, extracting teeth with forceps, and using wires to stabilize loose teeth and fractured jaws. 100 BC—Celsus, a Roman medical writer, writes extensively in his important compendium of medicine on oral hygiene, stabilization of loose teeth, and treatments for toothache, teething pain, and jaw fractures. 166-201 AD—The Etruscans practice dental prosthetics using gold crowns and fixed bridgework. Thanks to advances in modern dental materials and techniques, your dentist can help you attain the smile you've always wanted. The contour, color and alignment of your teeth can be changed by such cosmetic techniques as bleaching, bonding, veneers, inlays, and orthodontics. The information contained within this web site is for the sole purpose of identifying dental care or treatment and to inform our patients about our practice. this web site does not offer any form of dental or medical advice. Neil A. Priske, D.D.S. does not represent, warrant, or guarantee that any specific tratment is appropriate to your present or future dental needs. Please contact a dentist or hospital if you are experiencing dental pain or have a dental emergency. The rights to the names of products or services mentioned are the property of their respective registered trademark owners.